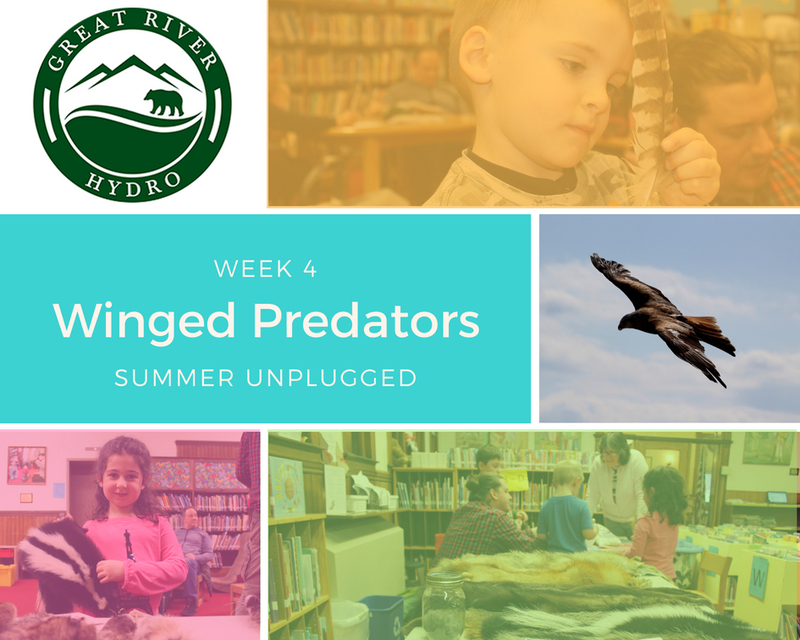 From June 6 through August 29, we hit the road with our love for nature in tow, excited to connect with kids and families at local libraries and the Bellows Falls Fish Ladder and Visitor Center. Each of our free Summer Unplugged programs center on a different topic from the natural world and end with a fun, hands-on craft. These kid-centric events are open to all and the subjects of our curiosity change each week. Just drop by! This program is made possible thanks to generous support from Great River Hydro. Winged Predators - Eagles, Hawks, Falcons, and more! Have you ever heard of the word raptor? These predators of the sky are magnificent and are a truly special group of birds. Come learn about what makes raptors special, and learn more about America’s national bird, the bald eagle. Join us to enjoy a story, discover more about native raptors, and create a bald eagle-themed craft! Recap: Our Mothing Night Was a Success!